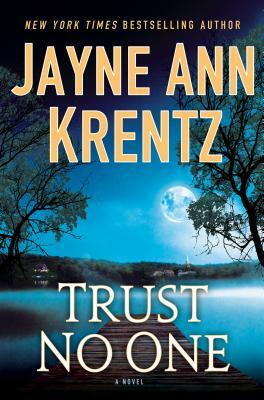 Following up on the incredible success of River Road, New York Times bestselling author Jayne Ann Krentz delivers another masterpiece of romantic suspense. It's no coincidence when Grace Elland finds a vodka bottle next to the lifeless body of her boss, motivational speaker Sprague Witherspoon. The bottle is a terrifying and deliberate reminder of the horrors of her past. Grace retreats to her hometown to regroup and tries to put everything she's learned about positive thinking into practice a process that is seriously challenged on the world's worst blind date. Awkward doesn t begin to describe her evening with venture-capitalist Julius Arkwright. She has nothing in common with a man who lives to make money, but the intense former Marine does have some skills that Grace can use and he's the perfect man to help her when it becomes clear she is being stalked. Jayne Ann Krentz is the author of fifty New York Times bestsellers. She has written contemporary romantic suspense novels under that name, as well as futuristic and historical romance novels under the pseudonyms Jayne Castle and Amanda Quick, respectively. Krentz lives in Seattle.